Attention mobile gamers, does this thing look awesome? Well, it should! 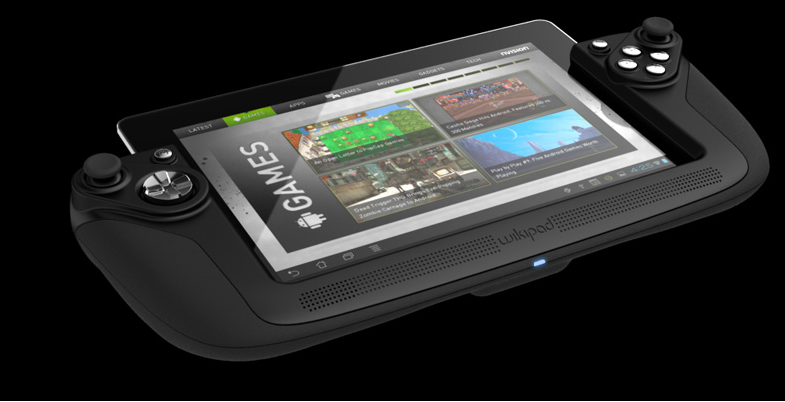 It’s called the Wikipad and it’s set to launch at GameStop on October 31 for $500. But don’t let that price tag scare you away, this thing was built with mobile gaming in mind. As you can see, the tablet itself comes with a dock (lack of better word) with built in buttons and thumbsticks. Along the bottom we have some monster speakers for cranking out all the sound fx you could hope for, but that’s just the beginning. The tablet comes with some fantastic hardware specs as well. The display is a 10.1″ LCD (1280×800) protected with Gorilla Glass, powered by a Tegra 3 quad-core processor running at 1.4GHz, running Android 4.1 Jelly Bean. Along the backside of the device, you’ll find an 8MP camera as well as a 2MP shooter on the front. Basically, it’s a souped up tablet for the more game-focused consumer. What do you think? Awesome? Not so much? For $500, we’ll see how fast/slow they fly off the shelves.